be quiet! Shadow Wings 2 140mm PWM offers whisper-quiet operation and reliable cooling. The extremely high air pressure makes it the perfect choice for any system. 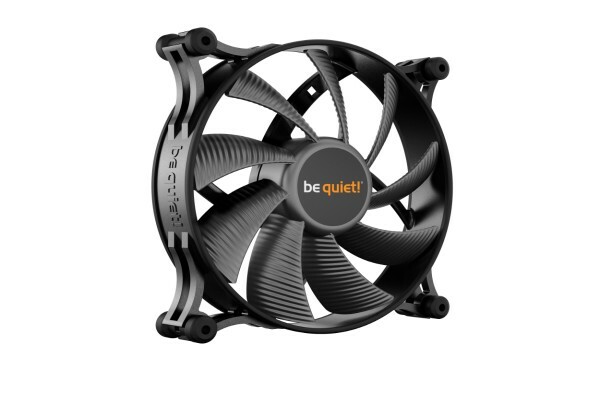 Shadow Wings 2 fans are the first choice for those who want to minimise noise in their PC. The fan blades of the Shadow Wings 2 140mm PWM have been optimized for the highest possible airflow, ensuring quiet operation with solid cooling. Even at the highest speed of 900 rpm, operation is max. 14.9 dB(A). The first choice for all those who attach great importance to noiselessness in their PC. Anti-vibration mounts attached to all four corners reduce the transmission of vibrations to the PC case. In addition, the fan is equipped with a rubberized frame that assists in reducing vibrations to a minimum. The Shadow Wings 2 140mm PWM fan stands for exclusive reliable operation. This is ensured by the rifle bearing, which promises a very long service life of up to 80,000 hours. The Shadow Wings 2 anti-vibration installation system makes fan installation child's play. The push pins allow a safe and very fast installation without screws.